The arena of ethics and professional responsibility can be a minefield for any practicing professional. Whether a doctor, lawyer, judge, accountant, or other professional or firm, ethical rules dictating the requisite level of performance are a part of a constantly changing landscape. The obligations and the restrictions imposed on professionals are framed by the statutes, disciplinary rules, court decisions, and written advisory opinions. Our attorneys are familiar with all these sources and monitor them so we are always giving clients the best possible legal advice. 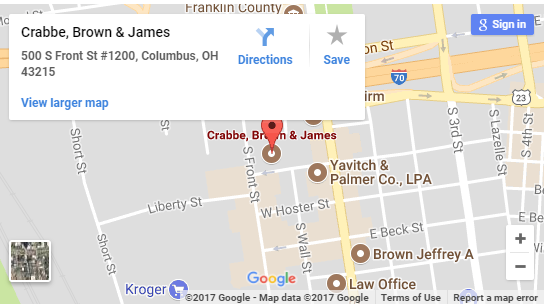 Members of the Crabbe, Brown & James, LLP Professional Malpractice Group have the experience and knowledge to advise and represent advising professionals, or their firms, in all phases of ethics cases including disciplinary proceedings, malpractice litigation, bar admission and reinstatement, partnership disputes, and more. We recognize that when an ethics issue arises in the course of a professional employee’s practice, which is their livelihood, it must be resolved as quickly as possible on favorable terms as dictated by the facts and the law. We work to resolve matters in the best interest of our clients at all stages in a case, from pre-litigation strategies to settlement negotiations, mediations, and litigation. We not only address the immediate claims at issue but also consider any broader underlying issues that may have led to the allegations of ethical breaches. Taking this full circle approach, our attorneys will achieve the best resolution for our professional clients so they can get back to doing what they do best.